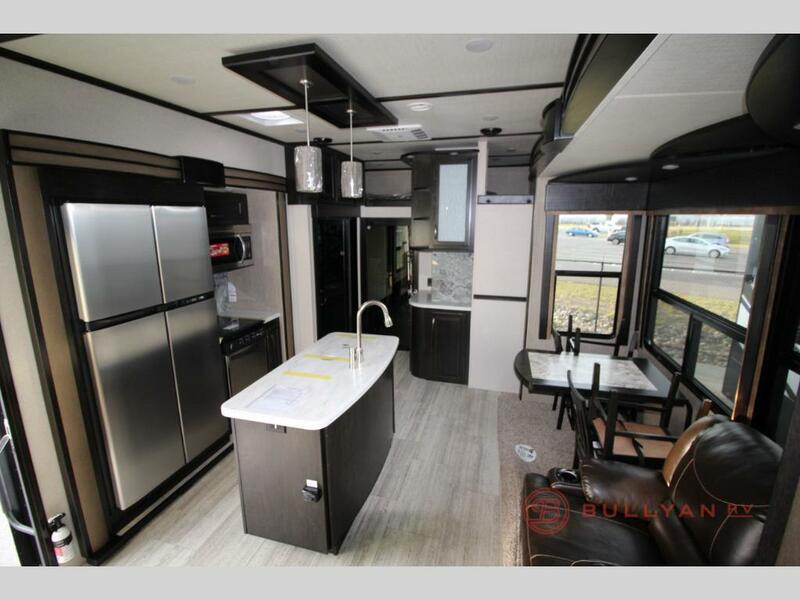 Grand Design Momentum Luxury Toy Hauler – Over 30% Off! 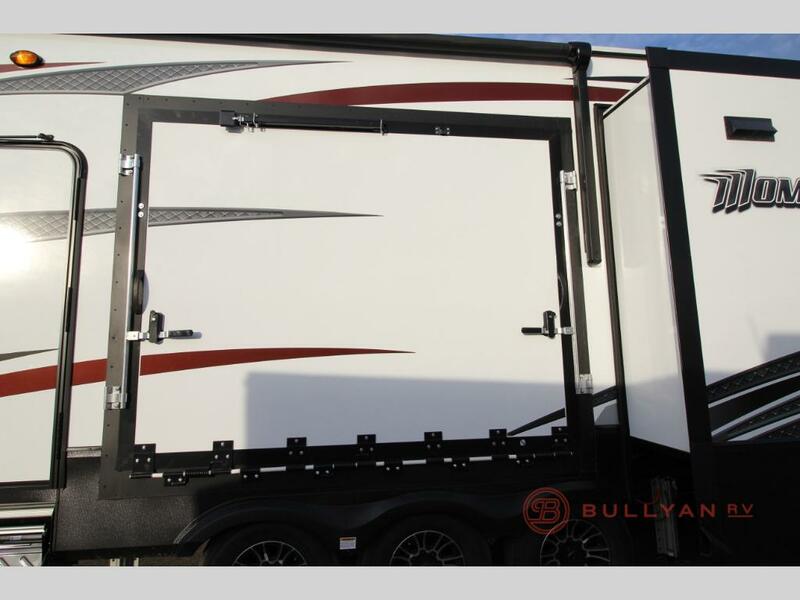 Don’t pass up this amazing deal on a top quality, luxury toy hauler! 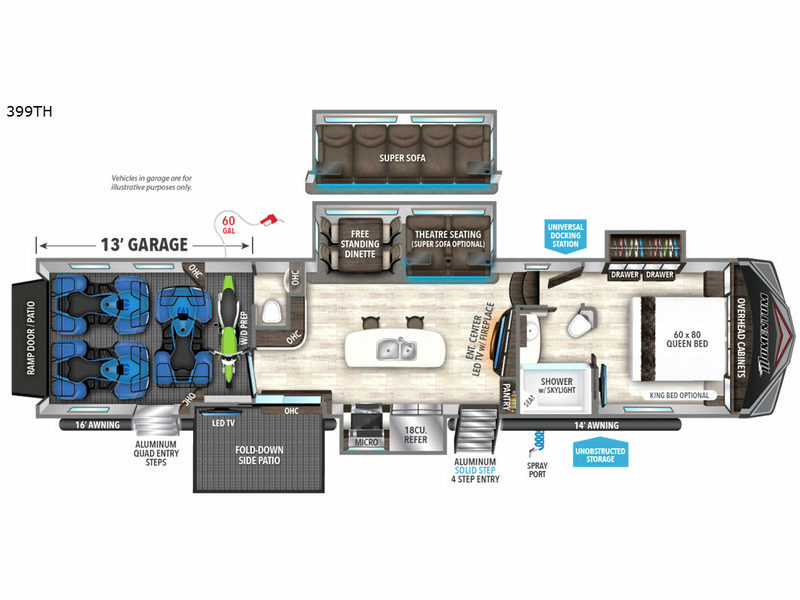 The Grand Design Momentum 399TH Fifth Wheel Toy Hauler is an incredible top of the line model. 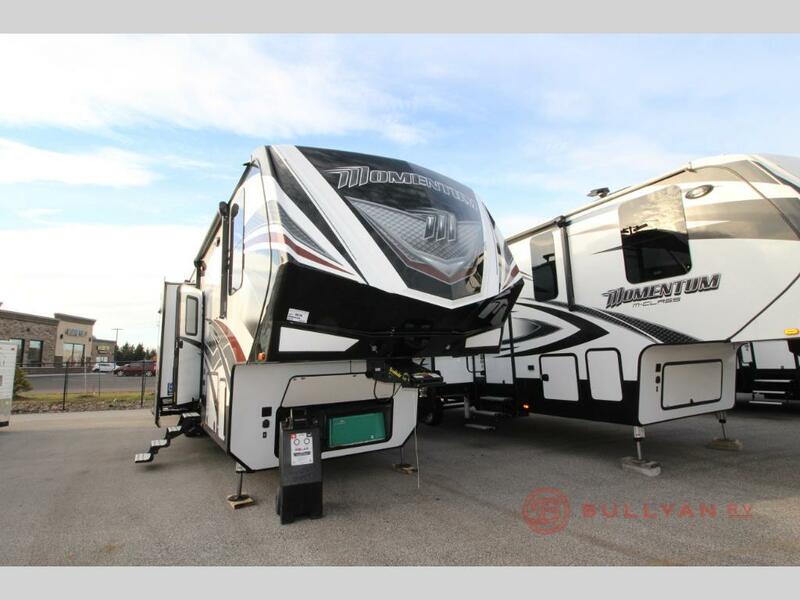 Discounted over 30% off, this select Momentum Toy Hauler on Sale at Bullyan RV is priced to move! The Grand Design Momentum 399TH has a ton to offer toy hauler enthusiasts. Here’s an overview of some of the major features this gorgeous RV has to offer. Starting on the outside, the Momentum 499TH has a large side party deck in addition to the rear ramp patio. This extra outdoor space is ideal for RVs who love to entertain family and friends or tailgate at sporting events. When it comes to storage space the Grand Design Momentum is best in class. The drop frame chassis design gives you a huge pass through storage compartment for all your gear. In addition, the fully enclosed fuel station with dual fuel tanks will keep your vehicles topped off and ready to roll. Moving inside, you will find a bath and a half layout with a huge 13′ garage space, a kitchen island as well as a cozy electric fireplace. The Momentum 499TH model has it all! Kick back and watch the big game in total comfort in this Momentum’s reclining theater seating. The convenient stand alone dinette is a great spot to enjoy your morning coffee with incredible panoramic views of the scenery outside. This steal of a deal includes all the quality and luxury Grand Design RVs are known for at a price that is too good to pass up. It’s time to hit the trails with a toy hauler you can be proud of. Act now and save over 30% on the luxury fifth wheel toy hauler of your dreams. 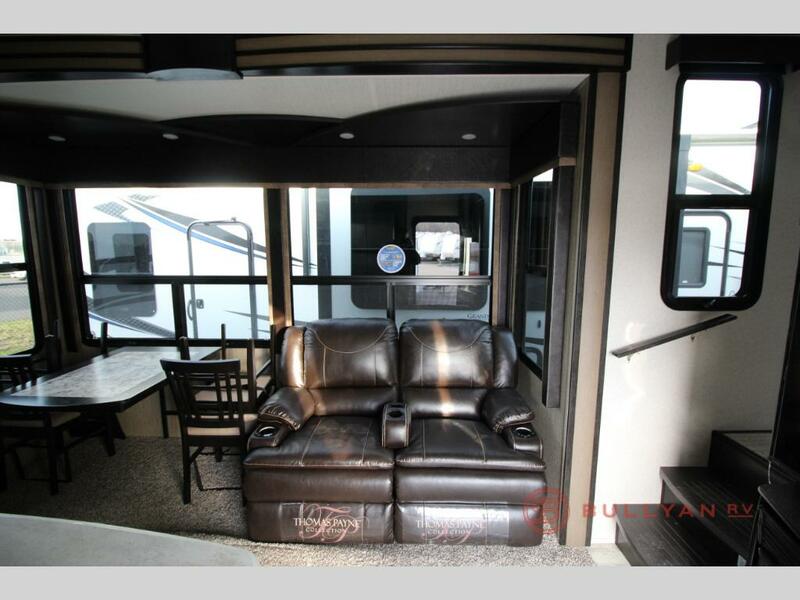 Contact Us at Bullyan RV for a tour of this special Momentum RV Deal today!